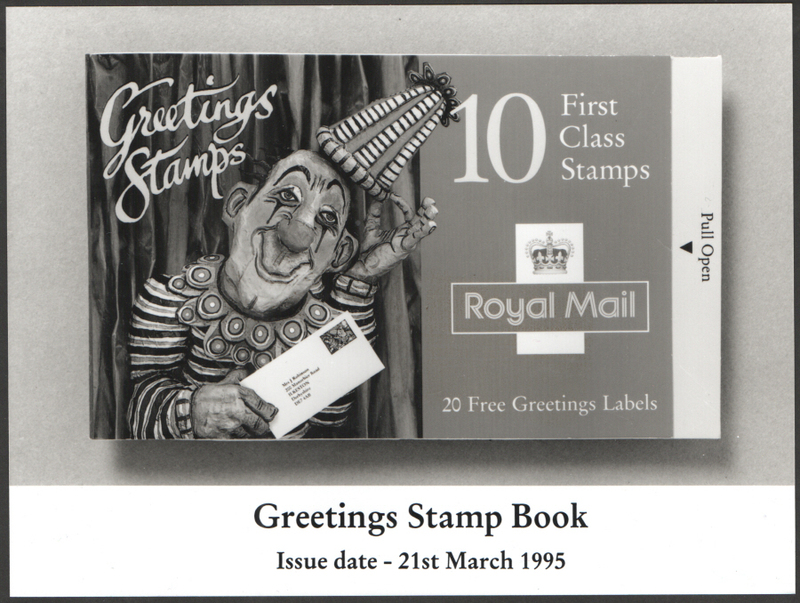 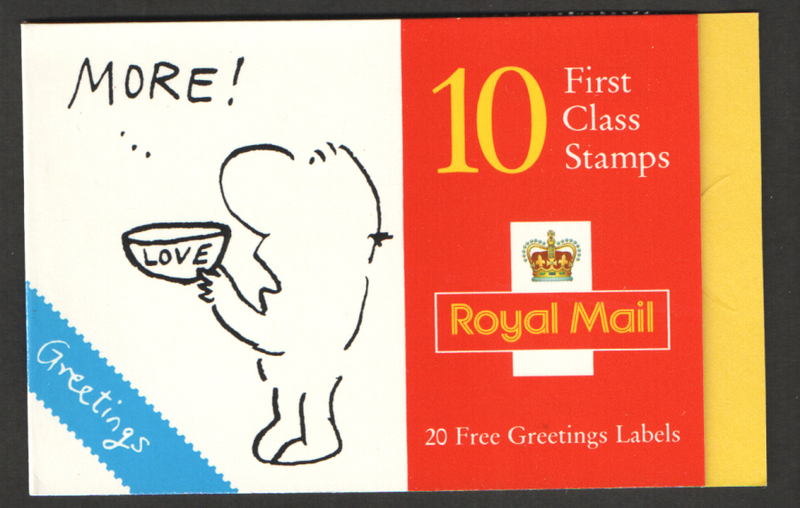 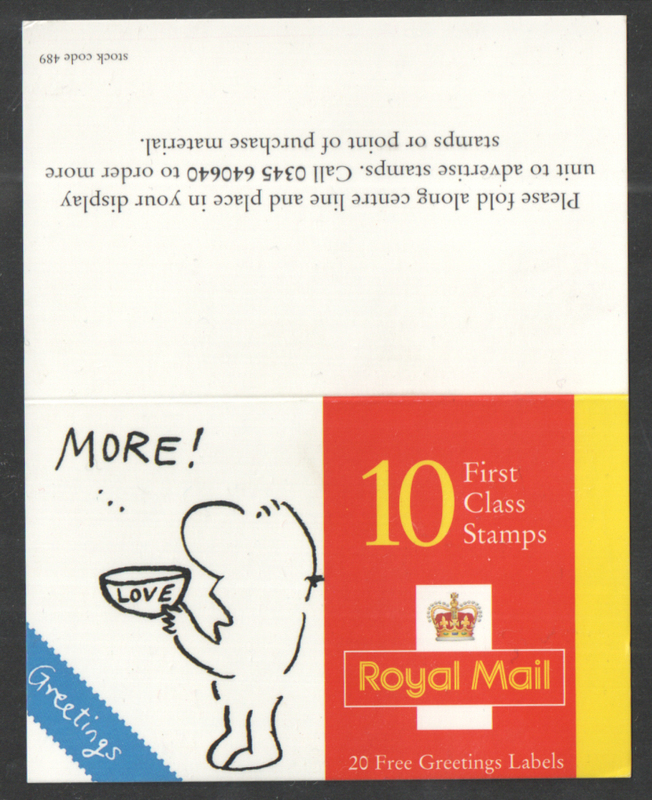 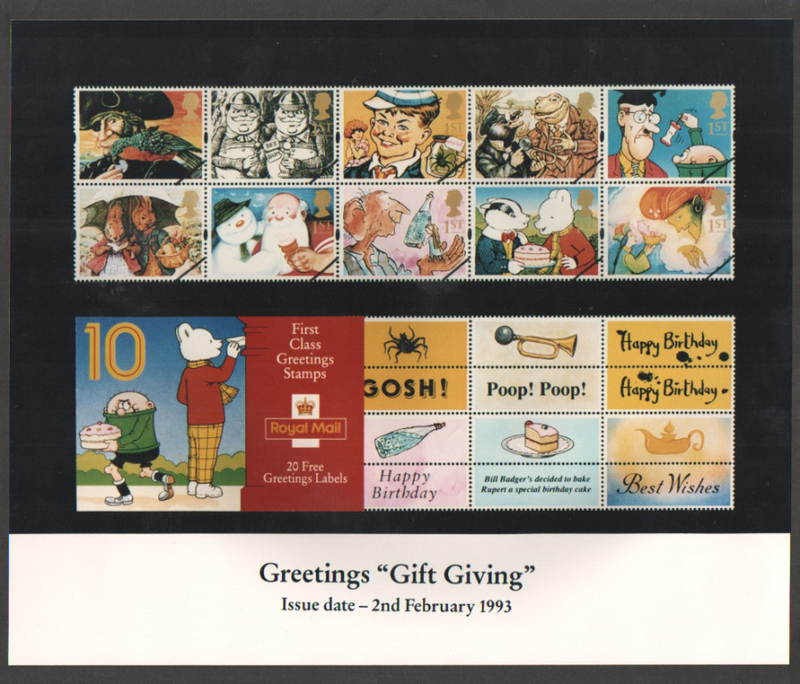 SG Number: KX8b MBPC Number: DB13(9)B 1996 Cartoons Greetings Booklet 2nd reprint with 2 long wave phosphor bands. 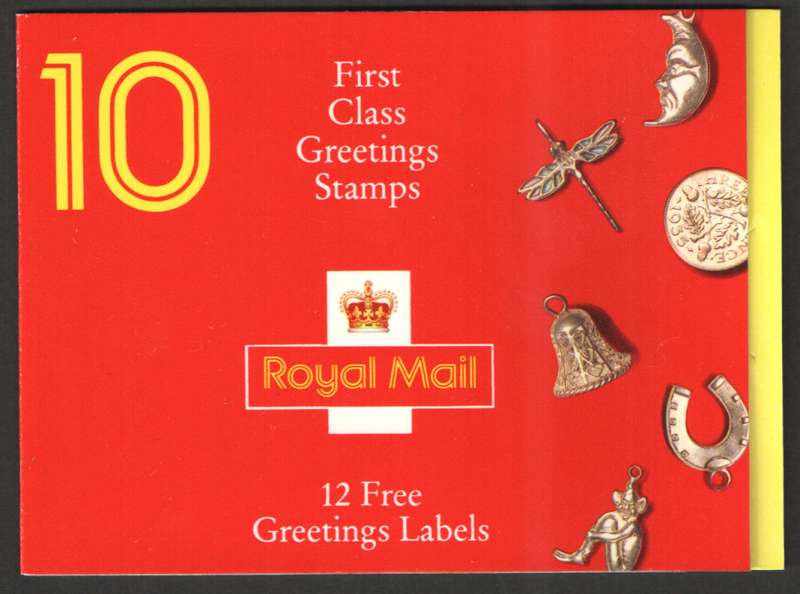 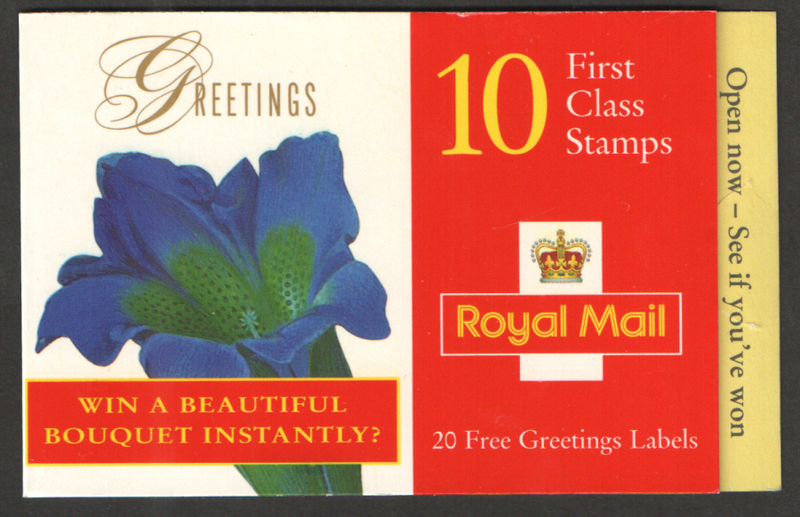 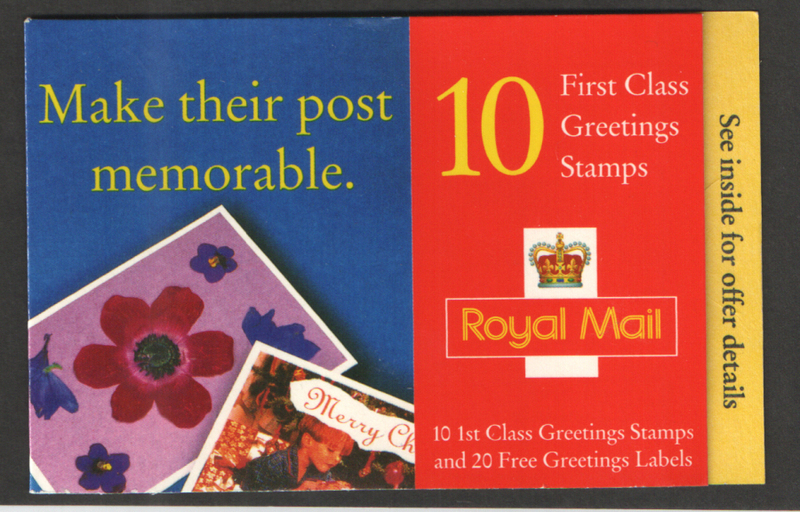 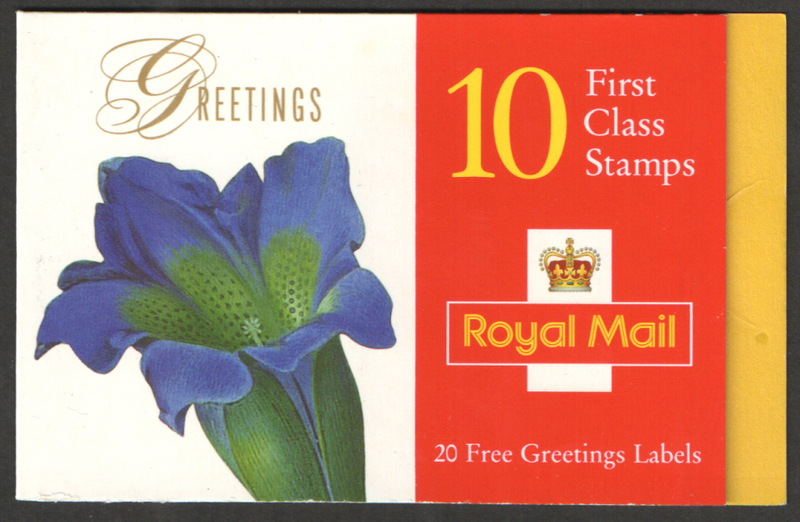 SG Number: KX9a MBPC Number: DB13(10)A 1997 Flowers Greetings Booklet Long wave phosphor bands. 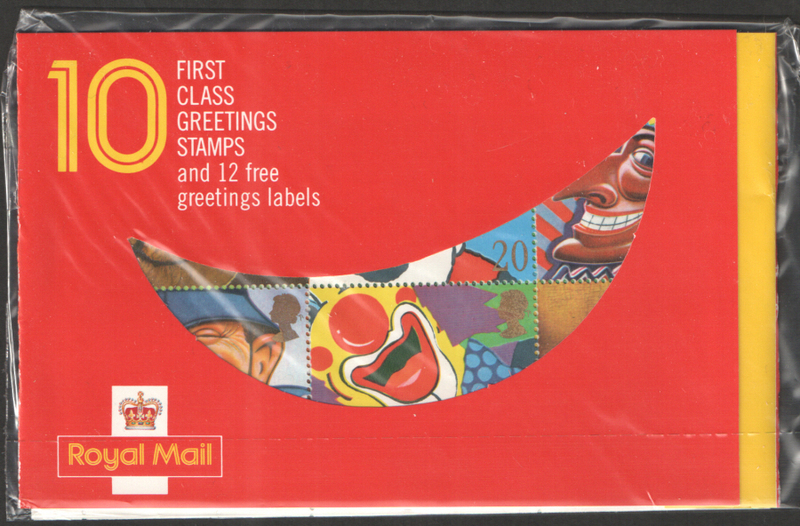 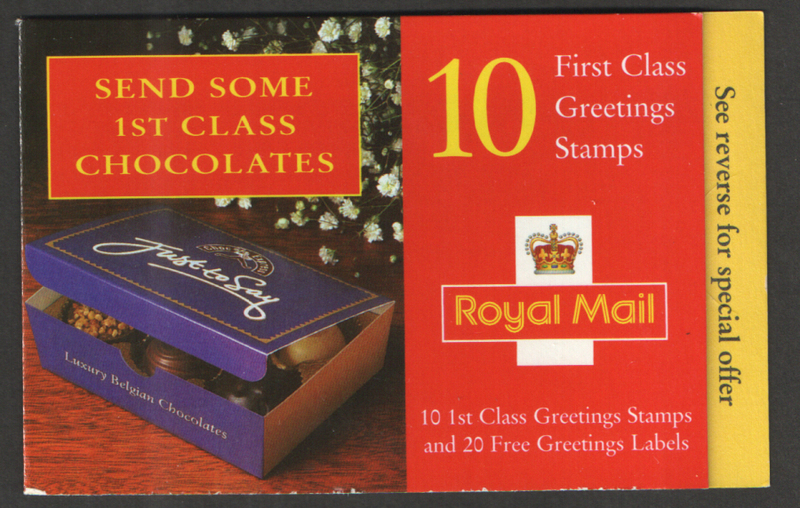 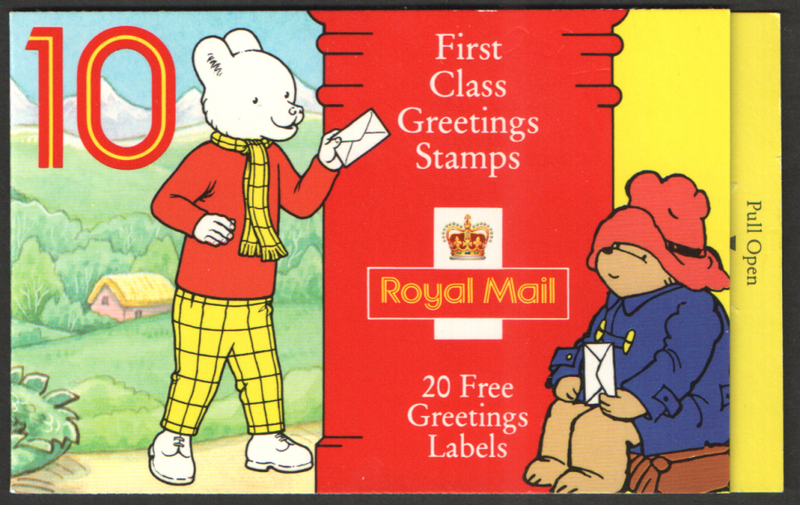 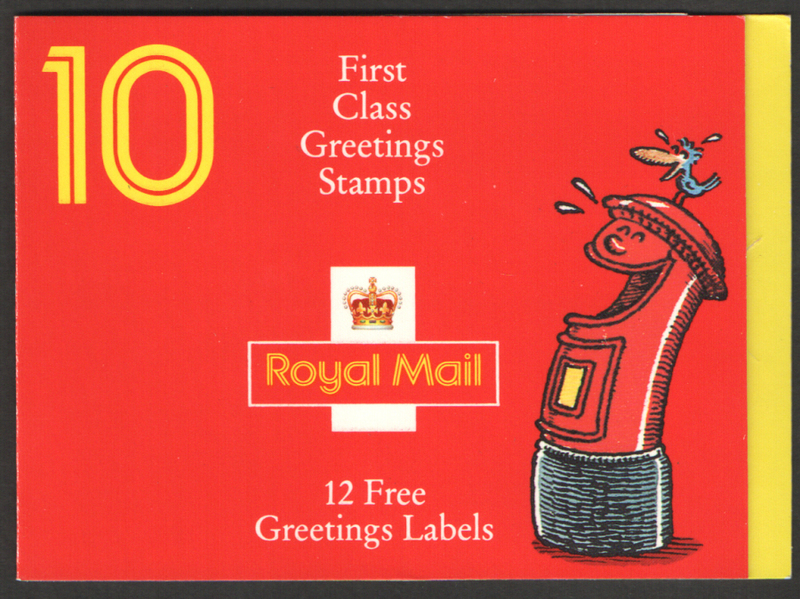 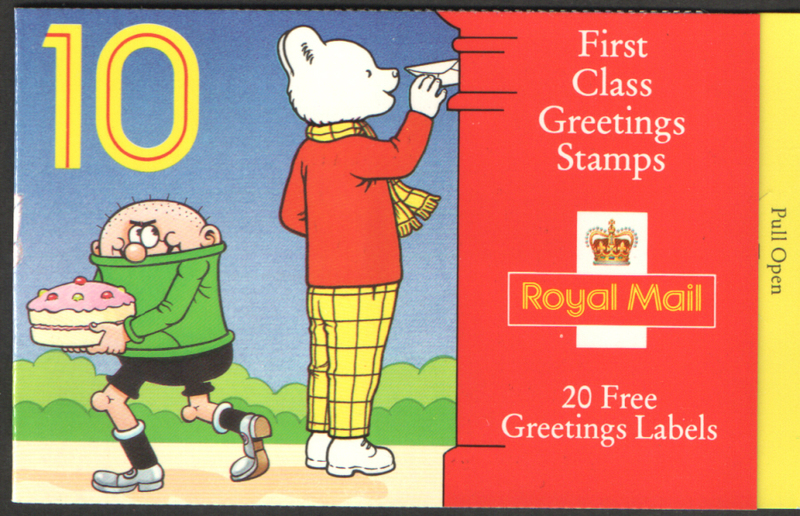 SG Number: KX6 MBPC Number: DB13(7) 1994 Rupert Greetings Booklet Translucent gum. 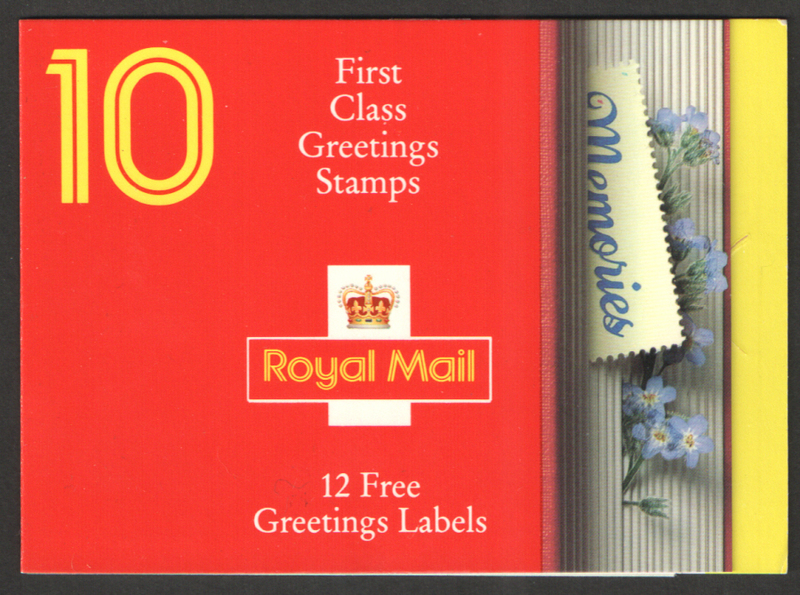 SG Number: KX9a MBPC Number: DB13(10)A 1997 Flowers Greetings Booklet Long wave phosphor bands. 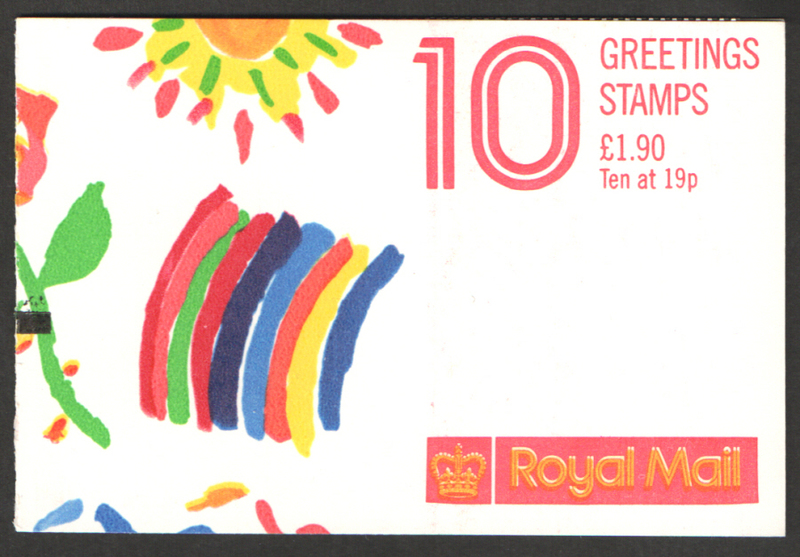 Wide left hand phosphor band on stamp 7.